You are here: Home / Profitable Mystery Shopping / What Are Your Mystery Shopping Goals? You don’t need to have a lot of goals, and they don’t need to be outrageous. 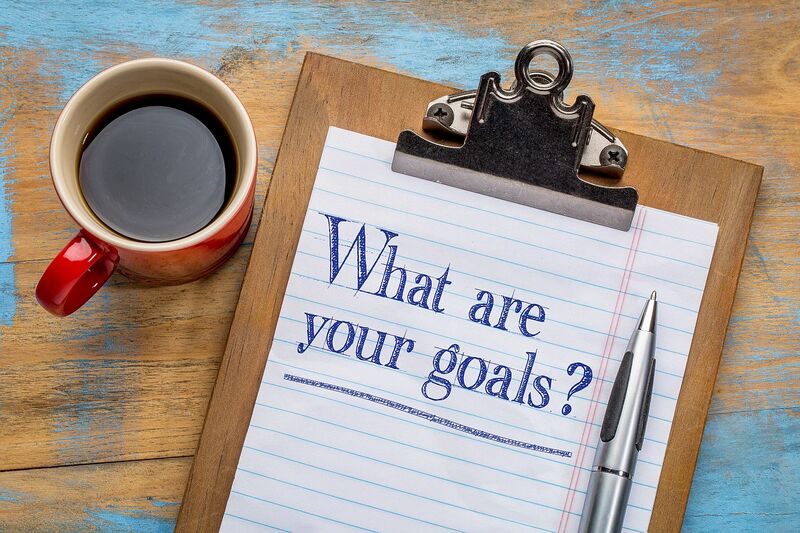 Your goals might be about the number of shops you want to complete, the amount of money you expect to make, or how you want to grow as a mystery shopper. My husband and I like to eat out in restaurants, so one goal I might set would be averaging at least three restaurant shops a month (not counting fast food!). You could set a goal of completing shops that reimburse at least a certain amount of expenses that you would incur even without mystery shopping. I have been reimbursed for cell phones, dry cleaning, eye glasses, groceries, entertainment and many other things that would have come out of my own pocket without mystery shopping. One goal might be that you want to make $X a month (whatever $X represents to you). That might be your only goal. But how do you define how much you make as a mystery shopper? Do you count only fees? Should you include reimbursements? How do you account for your expenses? A better goal might be that you will make $X in PROFIT. Consider setting a goal such as increasing your net profit by 25%, 50% or even 100% over last year. Your definition of profit might be the net mystery shopping income you report on your tax return. Or maybe you want to adjust that number to include the reimbursements that are for things you would buy even without mystery shopping. How you measure is less important than establishing that you will measure something that matters to you. After all, the main benefit of mystery shopping to the clients is that they are able to measure their performance in concrete terms. We can do the same for our performance as mystery shoppers. Make all of your goals specific. Saying you want to “earn more” or “apply to more companies” doesn’t mean anything. Saying that you will double your profit, or apply to at least two new companies every week is specific and measurable. Once you have a goal about how you want to be a more successful mystery shopper, figure out how you are going to reach that goal. If you plan to increase your revenue or your profit, you need a plan for doing so. Will you do more shops? Focus on higher-paying shops? What will you have to do to qualify for those shops? Perhaps you will want to learn video mystery shopping and invest in equipment. Maybe you will need to improve your writing skills. Apply to more companies. Target certain companies you really like to work with, and make it your goal to get more assignments (e.g., 25% more than this year, twice as many, or X per month) from those companies. Building good relationships with schedulers can go a long way toward helping you to get more and better shop assignments. What are you going to do to make these things happen? Set smaller goals that will help you reach your overall goal. Set your goals and then follow through. Track your progress. If you hit your goals, that is fantastic! Congratulations! If you don’t, look for the changes you can make to reach your goals in the future. And even if you don’t accomplish as much as you planned, chances are that you will be doing better than you did in the past because you reached for more success! Good advice, James. Thank you for your comment! I have always valued your ideas and suggestions. I just forwarded this current mailing to my wife. Some of the things you suggest I try to relay to her, but it is not as “valid” as if it came directly from you. Now, for me…. I have disabilities and have had to limit the types of shops I do. When I DO put in an effort, I want the monetary reward to be worth the bit of pain that goes into every shop I do. My favorite shops are apartment shops, and fortunately I can get between $25-45 for most of them. (sometimes more) I’m good at it and enjoy it. There are a number of low paying shops that are fun, but I have to keep my limited time to doing shops that pay better. How can I find companies that offer similar decent paying shops? I don’t like the idea of going through the whole process of applying, taking tests then finding they don’t have my types of shops. Is there a way of finding shopping companies like this before going through those procedures? Neil, unfortunately, there is no shortcut to finding high-paying shops. It pays to apply to a lot of companies, although I do sometimes skip over the ones that want me to jump through too many hoops (testing and such) before even letting me know if they have any shops I might be interested in. One thing to keep in mind is that the best shops are rarely on the job boards. Those go directly to top shoppers without being posted for public consumption. Build relationships with schedulers at your favorite companies and you will see more of those jobs come your way.